Nicholas has a passion for anything creative. His love of art, culture, food and the City of Houston elevate the relationships he is able to cultivate with clients. A native Houstonian, he loves sharing what he considers the heart of his hometown. Nicholas’ genuine compassion and charisma make for a winning combination when anyone is looking to purchase or sell a home. For years real estate has been the perfect match for this extraordinarily gifted professional. His love and knowledge of architecture enable him to see all properties through a different lens as he draws on his artistic background. 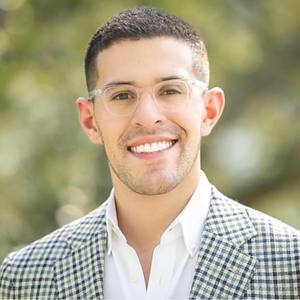 His real estate career began in property management where he developed a rich background in marketing properties throughout Houston, Dallas, and New York. He acquired a diverse level of experience working with upscale high-rises, mid-rises and commercial mixed-use developments. Throughout this period in property management, Nicholas mastered the art of identifying a client’s needs and sharpened his skills at achieving a high close ratio. Understanding that in order to conquer business successfully he must have a strong ethical approach, a sharp wit, and a determined drive to succeed; he brought his extensive knowledge to the Houston residential real estate market. Years of experience have taught him that a balanced, laser-focused attention to detail are universally beneficial to both him and his clients. As an extremely organized professional, Nicholas seamlessly navigates his clients through every step of a real estate transaction, from showings to contracts to closings. His areas of specialty encompass several of Houston’s most desirable neighborhoods, including Upper Kirby, The Museum District, and Downtown. Standing behind his sterling reputation, Nicholas puts his fiduciary duty first and foremost for all of his clients. In his spare time, Nicholas volunteers at The Omega House (a hospice service), and LAMBA Next Generation, and is active in The Victory Fund and Human Rights Campaign.